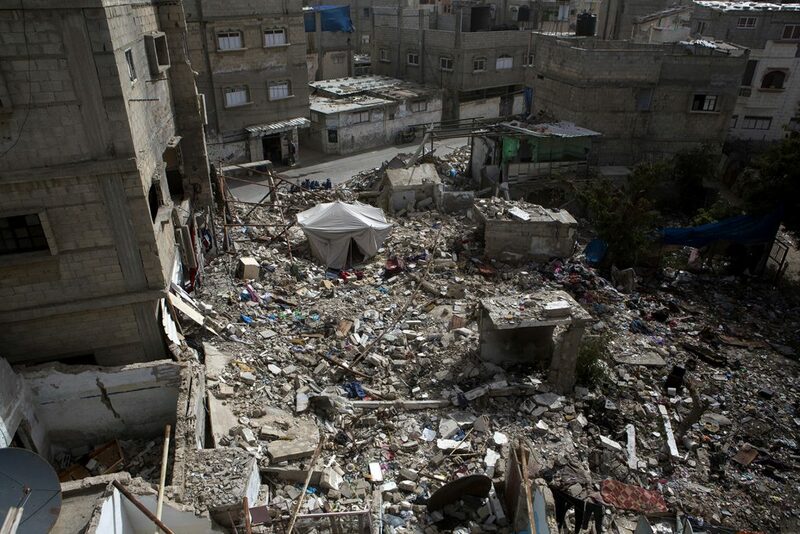 Photo: Ruins of Ismail Mohammed Juma al-Ghoul’s house, destroyed by an Israeli missile. Nine people were killed in the attack. 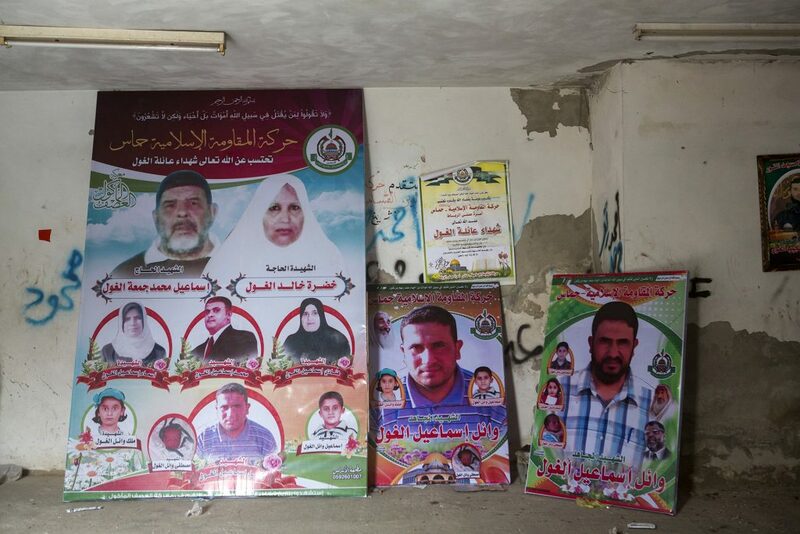 The house was hit on the third day of implementation of the ‘Hannibal Directive’ by the Israeli army. The directive included directing massive fire on the area where a captured Israeli soldier might be held. “I had to face three shocks. First, when I woke up and discovered that there was no home anymore. Then, I was told that my family had been killed. The third time, when I found out they were already buried,” explains Ahmed, who lost his parents, four siblings, two nephews and one niece.